Please review the following terms and conditions carefully. This agreement is a legally binding contract between you (“You” or “Your”) and Support King (“Support King,” “We” or “Us”) regarding Your access to and use of the Support King web site (the “Site”). By accessing the Site, You agree to the terms and conditions as outlined in this legal notice. Support King reserves the right to change these terms and conditions from time to time at its sole discretion, without prior notice, by posting such revised terms and conditions on the Site. It is Your obligation to routinely review these terms and conditions and Your continued use of the Site following any such change (whether or not You have reviewed such change) constitutes Your agreement to follow and be bound by the terms and conditions as changed. You agree not to: (a) upload, transmit, post, email or otherwise make available to the Site, any content or other material in any format that: (x) is false, inaccurate, unlawful, harmful, threatening, abusive, harassing, defamatory, vulgar, obscene, invasive of another’s privacy, and/or otherwise objectionable; (y) infringes any third party’s intellectual property; or (z) contains viruses, worms, Trojan horses, corrupted files, or any other similar software or programs designed to interrupt, destroy or limit the functionality of any computer software or hardware or telecommunications equipment; (b) alter, remove, or falsify any attributions or other proprietary designations of origin or source of any other content appearing on the Site or contained in a file that is uploaded to the Site; (c) impersonate any person or entity, including, but not limited to, an Support King official or falsely state or otherwise misrepresent Your affiliation with a person or entity; or (d) attempt, through any means, to gain unauthorized access to the Site. The use of any device, software or routine that interferes or attempts to interfere with the proper working of the Site is expressly prohibited. All material on the Site including without limitation all informational text, photographs, graphics, audio, video, messages, files, documents, images or other materials (collectively, the “Materials”), whether publicly posted or privately transmitted, as well as all derivative works, is owned by Support King or other parties that have licensed their material to Support King and is protected by copyright, trademark and/or other intellectual property laws. Support King disclaims any proprietary interest in trademarks, service marks, logos, slogans, domain names and trade names other than its own. Trademarks, logos, images and service marks displayed on the Site are the property of either Support King or other third parties. You agree not to display or use such marks without written permission from Support King or the appropriate party. The Materials on the Site may not be copied, reproduced, republished, uploaded, posted, transmitted, or distributed in any way, including by e-mail or other electronic means. Use of the services offered by Support King requires an email address. You, as a Member are solely responsible for using your own email address to gain authorized access. You also agree not to disclose or otherwise disseminate your user email address to gain unauthorized access, except as may be specifically required by law. Unauthorized access to the service is a breach of this agreement and a violation of law. Any modification of the Materials, use of the Materials on any web site or networked computer environment, or use of the Materials for any purpose other than personal, non-commercial use is a violation of the copyright, trademark, and other proprietary rights in the Materials and is expressly prohibited. Nothing on this Site shall be construed as conferring any license under any of the Support King or any third party’s intellectual property rights, whether by estoppels, implication or otherwise. 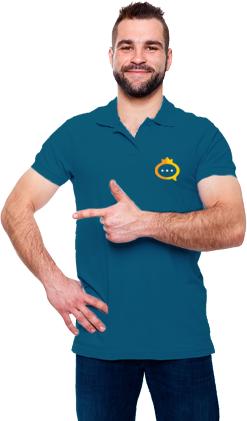 Support King makes no claim to ownership or other control or rights to any software recommended by Support King or its agents. All software recommendations refer to either “Freeware” or software that is otherwise available without charge to individuals at large for specific purposes. None of the charges assessed to members of Support King entitle You, as a Purchaser to any ownership, licensing rights or recourse with regard to use of the software other than those rights offered by the software owners or licensees. The fees and charges assessed by Support King represent service fees which entitle You as a Purchaser access to our Android Experts to getting ONE android device remotely rooted, in the event the software fails to successfully root your device. Your purchase does not entitle you to have unlimited android devices rooted. Additional devices that you would like to get remotely rooted through our experts would carry an extra charge per device. It is not the responsibility of Support King to make any back ups of your phone or tablet or any of the contents within your device. It is solely your responsibility to make a backup of anything you want to keep or try to restore after your device is rooted. This includes, but is not limited to: photos, SMS messages, contacts, media etc. Support King will not be held responsible for the loss of any data stored on your phone or tablet during the rooting process. Support King offers a no questions asked money back guarantee if we are unable to root your android device on a remote session. For software purchase, we offer a 15-day money back guarantee. In the event the software fals to root your device, you can contact us via email or live chat and we will offer one free remote root session to root your device. Customers may be asked to provide a valid reason for claiming a refund. Support King provides a transparent online resolution procedure for settling disputes and may direct refund requests through that channel. A refund request will normally not be accepted unless there are convincing reasons justifying a refund. During this period, Support King will usually require a Customer to provide a satisfactory explanation as to why a refund is merited and why the request was not made earlier. Support King may still consider the validity of refund claims and issue a refund at its absolute discretion. After a period of more than 15 days since the date of purchase, the transaction will be regarded as final. Support King will normally decline to grant a refund, except in special circumstances. This Site may produce automated search results or otherwise link You to other sites on the Internet. If any link is offered connecting You to a third party web site, it is as an accommodation to You and to the respective third party site owner and is provided without charge. Sites linked to and from this Site are not necessarily under the control of Support King and We shall have no responsibilities or liabilities whatsoever for the content including, without limitation, the accuracy or reliability of any information, data, opinions, advice or statements set forth therein, or privacy practices of any such linked site or any link or linking program at any time. These sites may contain information or material that some people may find inappropriate or offensive. These other sites are not under the control of Support King, and You acknowledge that Support King is not responsible for the accuracy, copyright compliance, legality, decency, or any other aspect of the content of such sites. The inclusion of such a link does not imply endorsement of the site by Support King or any association with its operators. We do not necessarily endorse companies (or related products or services) to or from which the Site is linked. If You decide to access any of the third party sites linked to this Site, You do so entirely at Your own risk. Support King DOES NOT WARRANT THAT THE SITE WILL OPERATE ERROR-FREE OR THAT THIS SITE AND ITS SERVER ARE FREE OF COMPUTER VIRUSES AND OTHER HARMFUL GOODS. IF YOUR USE OF THE SITE OR THE MATERIALS RESULTS IN THE NEED FOR SERVICING OR REPLACING EQUIPMENT OR DATA, Support King IS NOT RESPONSIBLE FOR THOSE COSTS. THE SITE, AND THE CONTENTS THEREIN, ARE PROVIDED “AS IS” AND “AS AVAILABLE,” AND ALL WARRANTIES, EXPRESS OR IMPLIED, ARE DISCLAIMED, INCLUDING BUT NOT LIMITED TO, ANY IMPLIED WARRANTIES OF MERCHANTABILITY, QUIET ENJOYMENT, NON-INFRINGEMENT AND FITNESS FOR A PARTICULAR PURPOSE. WE ARE NOT RESPONSIBLE FOR DAMAGE OR LOSS CAUSED BY ERRORS OF THE SITE, CONTENT ON THE SITE OR THE INTERNET. Support King DOES NOT EXERCISE CONTROL OVER ANY THIRD PARTIES THAT PROVIDE CONTENT TO THE SITE AND THEREFORE PROVIDES NO REPRESENTATIONS OR WARRANTIES REGARDING SAME. ADDITIONALLY, THE SITE MAY BE UNAVAILABLE UNEXPECTEDLY AS A RESULT OF ERRORS OR CIRCUMSTANCES BEYOND OUR CONTROL. You agree to indemnify, hold harmless and release Support King, its directors, officers, and employees, from and against any and all claims, damages, costs and expenses, including reasonable attorney’s fees, arising from or related to Your use of the Site and/or any content contained therein.